*All registrations will be verified. 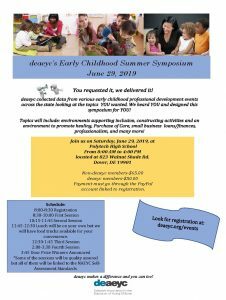 If you register as a NAEYC member at the lower rate and you are not a NAEYC member, you will be expected to pay the difference. 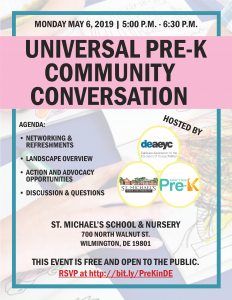 Please join us for an upcoming meeting in regards to Universal Pre-K in DE. 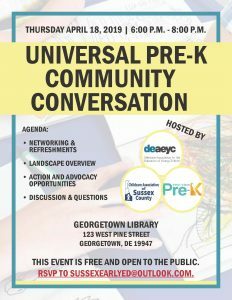 Stay tuned for an events calendar to include on-goings from around the state that may be of interest to those working in and supporting ECE!